Research shows low numbers of youth who are engaged in the sciences and the need for increased attention to STEM (Science, Technology, Engineering and Mathematics) education. With the release of a report from the Department of Commerce announcing that STEM jobs grew at three times the rate of non-STEM jobs, and offer higher pay, the fact that there is such a low interest in STEM is an interesting conundrum. If STEM careers are high-paying, and more available, why aren’t we creating more scientists? 1) We have instilled the phrase “I’m not good at math or science” into a new generation. 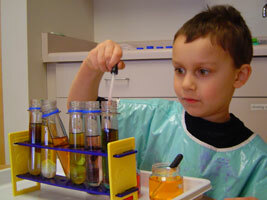 2) Science is taught in a way that is opposite to what it truly is. 4) We don’t focus on current issues in the discipline. 5) Good grades in science will not make you a scientist.